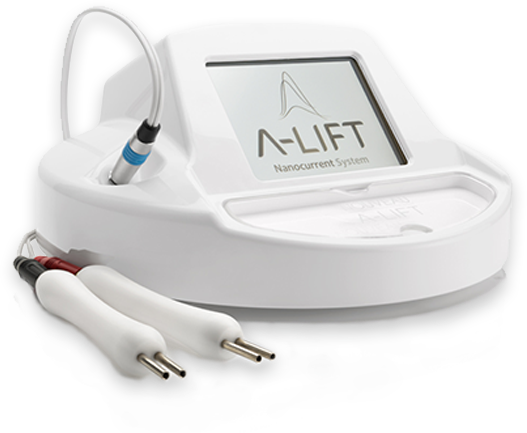 A-Lift is a highly-effective, non-invasive facial treatment that uses the latest technology to deliver proven results. 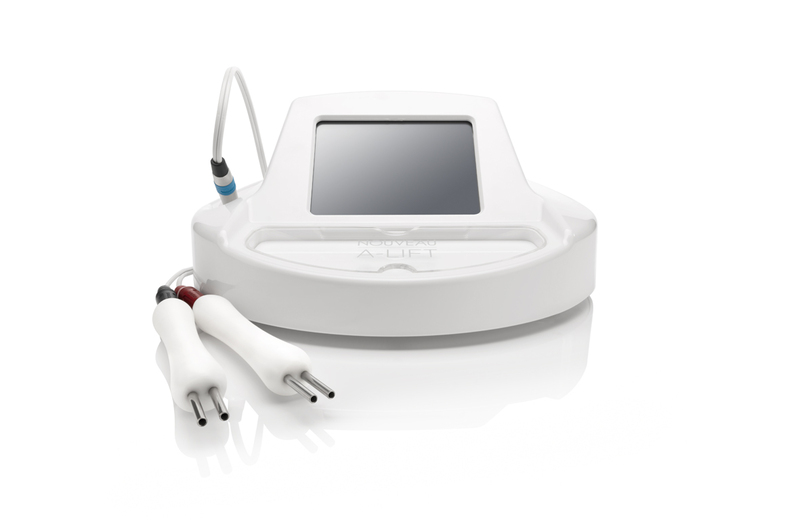 The A-Lift machine uses three phases of microcurrent and two phases of nanocurrent technology to lift, tone, and re-energise the cells in the face and neck. A-Lift increases Adenosine Triphosphate (ATP) production within the cells to accelerate their metabolism. 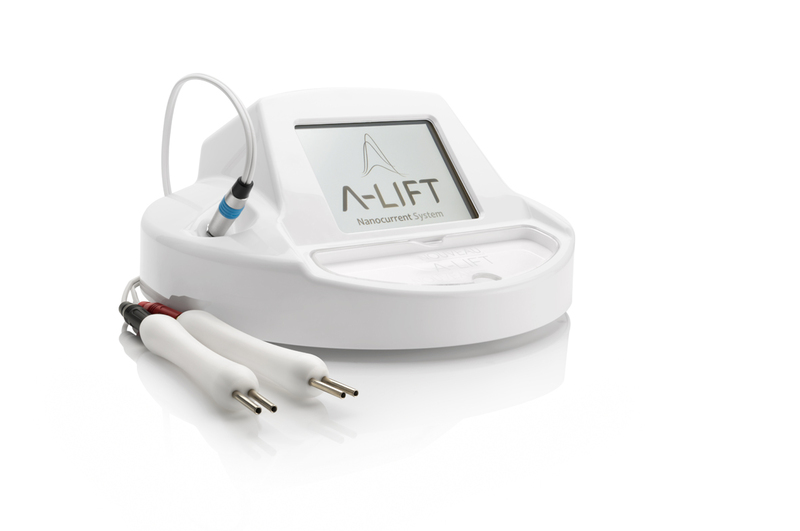 A-Lift with its dual current output of microcurrent and nanocurrent boosts ATP production by up to 500% as well as automatically monitoring and adjusting itself to synchronise with the skin’s own bio-electrical frequency. The current stimulates ATP production within the cells which effectively ‘supercharges’ the rate of their metabolism back to previous levels of youth. ATP stores and transports chemical energy within the cells. It provides the cell with energy to reproduce, repair, and function. Fibroblast cells are stimulated to produce more proteins including collagen leading to better structure and improved toning and lift so the skin looks fresh.  Another positive effect of this chemical reaction is more water so the cells appear more hydrated. 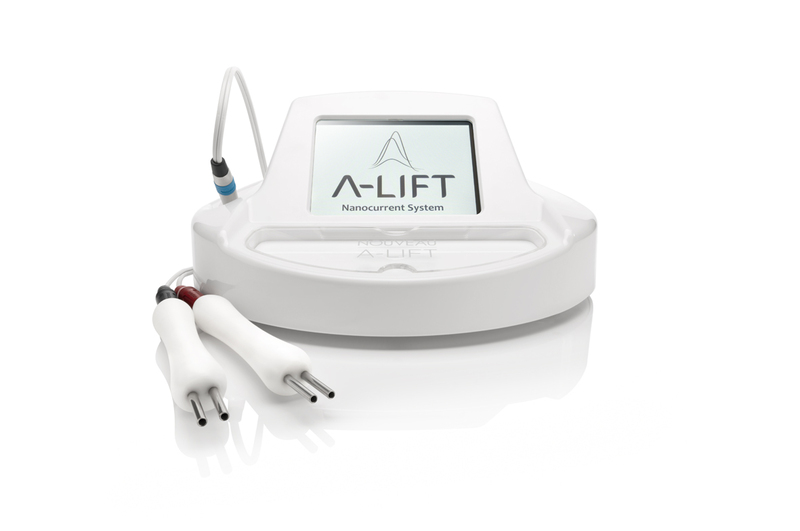 A-Lift works as well for your business as it does for your clients’ skin. It provides you with a valuable reoccurring revenue stream thanks to the repeat business it creates. Happy clients, you provide treatments to can quickly turn into regular A-Lift customers who want to maintain the overall skin health that you have provided to them. Regular clients will provide a steady flow of income to your business. Our A-Lift training is accredited by the Guild of Professional Beauty Therapists and has been awarded 24 Continuous Professional Development Points (CPD). By furthering your education with Nouveau Skin Therapy you are investing in yourself, your career and your business. Nouveau Skin Therapy training is highly regarded as the best beauty training providers in the UK. With modern facilities in Yorkshire and Milton Keyes, our knowledgeable educators will deliver the skills and the confidence you need to prepare for success. A-Lift is a two-day hand on course, covering both theory and practical modules. You will master how to consult your clients, provided expert advice, and tailor a course of treatments to perfectly suit their needs. After training, you will confidently be able to set-up and deliver A-Lift and give your clients a professional and satisfying treatment of the highest quality.